You are here:Home » Euromil News » PESCO: Step by Step Towards a Final Council Decision! Without any doubt, the Permanent Structured Cooperation (PESCO) will be a significant milestone: Not only because it will bind those member states that join PESCO to a certain number of commitments, but especially because it demonstrates the political will of a majority of member states to get closer than ever before in the field of security and defence. While the way towards PESCO is not a walk in the park, member states approach the final decision step by step. First, we should remember that PESCO is foreseen under the articles 42 and 46 of the Treaty on the European Union (TEU) and that there is only one PESCO. Once established, there is no possibility to set up parallel PESCO structures. As already mentioned in our article of 31 August 2017, the European Council of 22 June 2017 agreed to launch PESCO and decided on a limited timeframe. Already in the following weeks, France and German took initiative by proposing a draft with a set of binding commitments for an inclusive and ambitious PESCO. Their initiative was quickly supported by some member states and before the end of July 2017 the European Defence Ministers and the High Representative Federica Mogherini, were informed on the proposals. In the past months many meetings between representatives of member states took place on all levels to discuss the French-German draft paper. The aim of the discussions was to reach an agreement to sign a notification indicating those member states who wish to participate in PESCO, fulfil the criteria and meet the commitments set out in Protocol 10 on Permanent Structured Cooperation. On Monday 13 November 2017, 23 member states signed this joint notification indicating their will and ability to be part of a Permanent Structured Cooperation. The notification was signed during a special ceremony at the Foreign Affairs Council, at which also the Ministers of Defence participated. Denmark, Ireland, Malta, Portugal and the United Kingdom were the only member states that did not sign the notification which will be send to the Council and the High Representative. The binding commitments in the five areas set out by article 2 of Protocol 10 on Permanent Structured Cooperation. As already emphasized, all PESCO participating member states must comply with a list of objectives and commitments. This list of twenty “ambitious and more binding common commitments” is part of annex II. Proposals on governance. Annex III foresees a governance on two levels: an overarching level in charge of maintaining the coherence and ambition of PESCO and specific governance procedures for PESCO projects. Participating member states are free to submit projects and should at least participate at one of the agreed projects. Non-participating member states can indicate their intention to participate in projects. Third countries can exceptionally be invited by project participants. The Council must take a decision to establish the Permanent Structured Cooperation within three months after the notification. Most probably this will happen on 11 December 2017 at the Foreign Affairs Council. Meanwhile the concerned member states have to introduce their National Implementation Plan outlining their ability how to meet the binding commitments. Most probably also the projects and their participants will be decided immediately after the launch of PESCO. EUROMIL applauds this initiative. PESCO is an ambitious, binding and inclusive legal framework by which member states can improve their respective military assets and defence capabilities through well-coordinated initiatives and concrete projects. Annex I of the notification rightly points out that “We consider an inclusive PESCO as the most important instrument to foster common security and defence in an area where more coherence, continuity, coordination and collaboration is needed. European efforts to this end must be united, coordinated, and meaningful and must be based on commonly agreed political guidelines.” EUROMIL however regrets that there is no binding commitment on social and human rights for military personnel listed in annex II of the notification. While with the introduction of PESCO soldiers from all over Europe will work closer together than ever before, they will still not enjoy the same fundamental rights and freedoms, working conditions and social protection. While the men and women serving their countries in uniform are ultimately essential to make PESCO successful, they have been left out of the picture when Defence Ministers negotiated numbers, structures and projects. 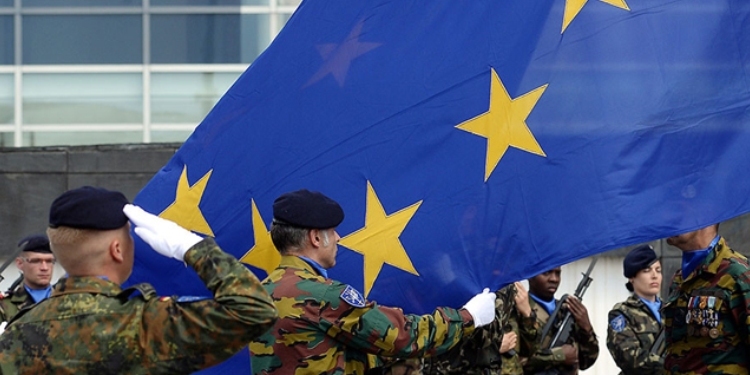 EUROMIL believes that member states, and through them the European Union, missed the opportunity to coordinate their human and social obligations towards the men and women in uniform. Probably our leaders believe that the commitment and motivation of these men and women can be taken for granted. EUROMIL cannot tolerate that soldiers become victims of their loyalty, duty awareness and professionalism! They deserve better! We therefore call upon the European leaders to not only show their ambition when it comes to military projects, but also with regards to guaranteeing fundamental rights and freedoms for military personnel, harmonizing working conditions and social protection of the men and women who protect Europe’s security.